My Mule Can Do It Better! 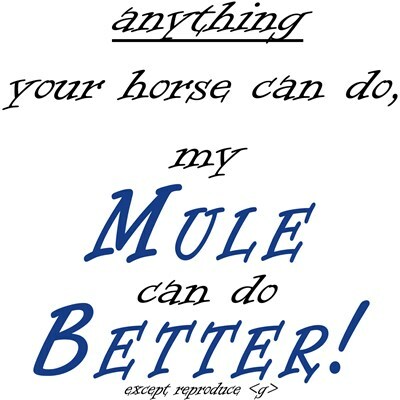 anything your horse can do, my Mule can do Better! except reproduce . Show off your mule pride and let everyone know how talented your mule is. 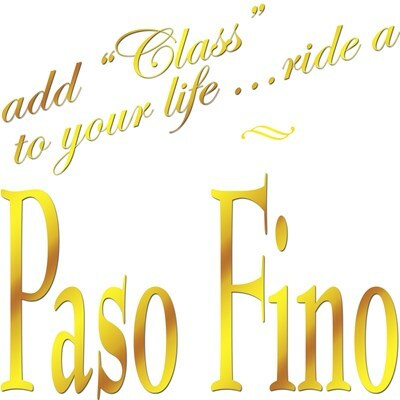 add "Class" to your life...ride a Paso Fino. Show your Paso Fino horse loving pride. my other Sweetheart is a Tennessee Walking Horse. Treat yourself or give as a gift. 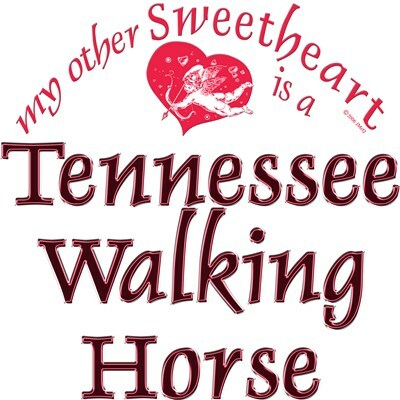 Perfect for Valentine's Day for that special Tennessee Walker lover.